Your Cosmetic Dentist in Houston Says Enjoy Smile Perfection This Year! You’ve spent the past few years unhappy about the way your teeth look, but your cosmetic dentist in Houston says you don’t have to endure more of the same. With an aesthetic dental procedure, you can finally enjoy a smile that boosts your confidence and makes for favorable first impressions. Learn about the methods available for you! Comments Off on Your Cosmetic Dentist in Houston Says Enjoy Smile Perfection This Year! If you’re an older person who wears dentures, it’s important to maintain regular visits to your dentist in Upper Kirby. Your mouth is a dynamic environment that changes as you get older, which makes preventive care appointments even more important. As you read on, you’ll learn how your dentist can help in maintaining your oral health and encourage better-fitting prosthetics. 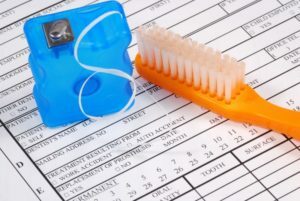 If you don’t spend your days reviewing dental insurance policies, understanding your own benefits can be frustrating. Your dentist and dentistry team members should be able to help you better understand your coverage. In this post, you’ll find some basic information about terms you should understand and factors that influence coverage in order to help you navigate your insurance coverage. In your quest for excellent oral health, it’s easy to focus all of your energy on your oral cavity. What if you found out that the wellness of your mouth, teeth and gums is connected to your overall health? A host of recent studies have found a definite correlation between the two, validating the thought that the mouth is the window into the health of the rest of the body. 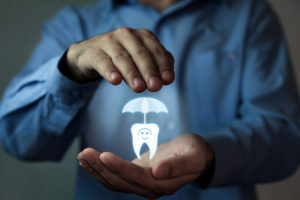 As you read on, your dentist in Houston explains the concept of oral-systemic connection and how you can prevent major oral maladies. Celebrate Oral Cancer Awareness with Your Family Dentist in Houston! Many patients don’t realize that April is Oral Cancer Awareness Month, which is why your family dentist in Houston is excited to offer a few ways you can celebrate and protect yourself from the harmful and deadly disease that is oral cancer. By knowing how to check yourself at home, getting an oral cancer screening from your dentist, and making a positive change in your habits, you can dramatically reduce your chances of developing oral cancer later in life. Comments Off on Celebrate Oral Cancer Awareness with Your Family Dentist in Houston! What Happens at My First Visit to My Dentist in West University Place? It’s a big step to schedule your first appointment with your new dentist in West University Place. 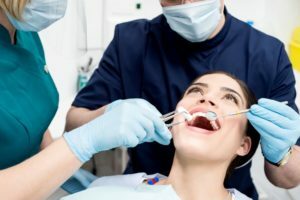 Not knowing what to expect, you wonder, “What all do I need to bring?” or “Will I have tons of forms to fill out when I get there?” You then ask yourself, “What does a first visit entail?” You’ll get answers to these questions as you continue reading so that your preventive dentistry experience will be a pleasant and productive one. Comments Off on What Happens at My First Visit to My Dentist in West University Place? Are you looking for a new dentist in the area? 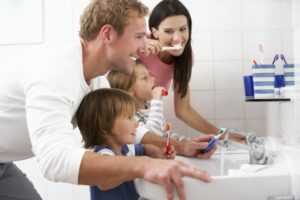 Whether you need a specialist or a children’s dentist in West University Place, considering these 5 factors can point you in the direction of your perfect practice! Keep reading to learn more!